That maybe so but then there's the disadvantage of not being able to connect two large appliances to neighbouring sockets so if the toaster and kettle were connected to the same circuit, the breaker would blow when they're both turned on. The 13A system is also more convenient because it's obvious where the fault lies, the house breaker tripping would be a pain because you'd have to unplug each device until the faulty one is located. I wouldn't agree that 0.5mm2 cable or even 0.752mm cable is sufficient for a 16A circuit. Yes, I meant class 1. Although the live and neutral are both hazardous, fusing the neutral, rather than the live is a bad idea because when the fuse blows, the appliance is certainly live. If the live only were fused, the appliance will probably be safe when the fuse blows, although, as you say, there's the remote possibility the neutral has also been broken. This is why the fuse is always fitted in on the live conductor and having a non-polarised plug is bad because it defeats this. You're right, it's not perfect and I've stood on plugs in the dark before ouch! The fact that chained extensions include multiple redundant fuses, which makes the system unusable in industries such as stage lighting. I'm not sure how this is any worse than not being able to identify which appliance is faulty when all the sockets in a room go dead because of one faulty appliance. I've had that problem too. Actually, I think if we're to harmonise, a totally new plug should be designed combining the advantages of both the European and UK systems. I'd definitely want to keep the fuse, polarisation and safety shutter but the maximum current could be increased to 16A, the connections made from the rear of the plug to reduce the risk of foot injury and the plug should unscrew from the side, not the bottom. Although I recognise the advantages of the UK style plug,it just seems too "clunky". The fuse in the plug does die with age, & domestic appliances are unnecessarily replaced at extra expense,when it is just an "aged" fuse. 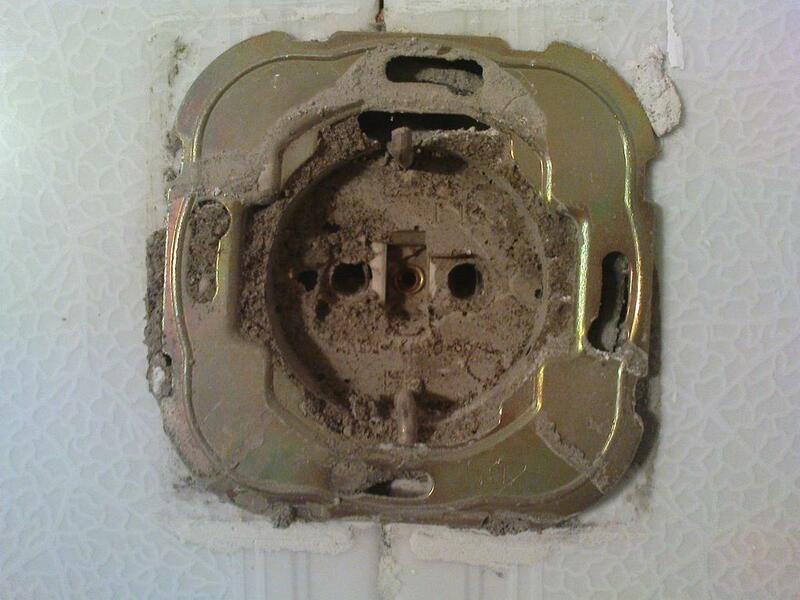 Although it does have issues,I prefer the Australian standard plug. to what would be logical--earth pin is at the bottom instead of the top. The standard cable outlet on an Australian plug is at the rear of the plug (in line with the pins). The standard material is heavy duty flexible PVC. It is just as easy to hurt bare feet with an Aussie plug as with a UK one, though,in fact the pins are sharper!! Have you ever had a play with a US 240v 20A plug? (& earth),hence ,you find equipment with fuses in both sides.I think this is actually illegal in Australia,but equipment wired this way is common among USA & Canadian sourced equipment. I bought a shortwave radio many years ago, which was equipped with a 2 wire power cord. This was a 240 volt device, but was designed for the US system. would be a "virtual earth". In Australia,the chassis was tapped halfway down a capacitive voltage divider,so when ,in my eagerness,I attached an aerial & earth,the earth lead went "zap"! survived its first introduction to the new radio! Needless to say, the first "mod" was a three core power cable! Simon I'm having a hard time visualizing what you're saying up in the OP. Can you post a picture or two? now imagine having half your plus with a wire out of one side and half with it out of the other (opposite). Now think of wall warts made so, not fun eh ? either way a standard should be maintained. Take a look at this!!! Oh, I see. I agree! It would make everything fit together better. In canada everything either comes out of the back, or the bottom. Some of the slimmer adapters (like my cell phone charger) actually have the prongs mounted sideways so it doesn't cover up any other outlets. I've never seen that happen before. Fuses are rated for a minimum of 1000 hours at full load and most mains appliances draw much less current than the fuse rating. A TV may have a power rating of 70VA, drawing 0.3A but will be fitted with a 3A fuse which will never blow, unless there's a fault. Only larger appliances have a power rating nearer to the plug fuse but they tend to not be left on continuously so it is still not an issue. It seems odd that such a small device would be designed for 240V in the US. As far as I'm aware, in the US 240V is reserved for larger appliances such as washing machines, cookers and air conditioning units. The capacitors should be Y1 rated, otherwise it doesn't meet any safety legislation. That kind of configuration is actually quite common here in Europe. The capacitors are connected between both live and neutral to the case because some countries have a non-polarised plug. If they connected an X capacitor from live to neutral and a Y2 capacitor from the case to neutral, the cause might float at 230V, if it were connected to a dodgy non-polarised EU plug. I don't like this kind of configuration, not only does it pose an ESD risk, it's also a serious shock risk (not just a tingle) if the chassis of many appliances are connected together because the leakage currents add. You are probably correct,as I wasn't in the UK long enough to have a fuse die on me! I have personally experienced fuse failure due to aging in other situations. Working in TV Studios & TV & Broadcast Transmitters,I have come across this kind of circuitry a number of times in 240volt US & Canadian sourced equipment. My guess is that 240volt outlets are fairly common in TV studios in the USA,so that equipment for that voltage is made to the US standard. Also US "Hams" commonly run linear amplifiers from 240volt as 120volt sockets usually are inadequate to supply enough current to run these devices at max legal power,so an HF receiver powered by 240volts is a possibility in that country. was less of a problem.